Noiselab is a community of Ableton producers and electronic musicians. All instructors are either Ableton Certified Trainers or successful producers with impressive industry credentials. We believe in learning from the best, so that's all we offer. Stay on top of the latest trends with fresh, relevant content. Choose what you'd like to learn and work at your own pace. Learn from industry and Ableton experts who love teaching. Thousands of happy students - courses with a track record of success. Introducing our Music Production Bootcamp! Loving our video courses, but need more teacher-student interaction? We’ve got you covered with our electronic music production bootcamp, a 3-month online training program taught live by an Ableton-certified instructor. Learn how to produce music in an interactive digital classroom, streamed directly to your computer from the comfort of your home, anywhere in the world. Get access to over 300 tutorials with a student membership. Purchase courses individually or get unlimited access to all courses, lesson videos and project templates with a student membership, starting at just $19/month. Want to try us out first? No problem, visit our course library and enroll in our free courses, no strings attached. This is the first course in our 3-part series. We'll cover what a DAW (digital audio workstation) is, why Ableton Live is a unique DAW, and the difference between the Session View and Arrangement View. We will also teach you how to work with MIDI instruments, audio material, and much more. This course focuses on 3 different types of synthesis that are employed by different virtual instruments in Ableton Live - subtractive synthesis using the analog instrument, frequency modulation (FM) synthesis with operator, and granular synthesis using the sampler instrument. This is a great introduction to the world of synthesis. Learn several useful tips that you may not be aware of. We'll cover topics ranging from ways to use racks, techniques to use when grouping tracks, slicing audio to MIDI, assigning tempo and signature information to scenes, and much more. These hard-to-find skills will give you an edge as an Ableton producer. Master the fundamentals of music composition and songwriting. Learn note names, accidentals, how frequency corresponds to pitch, the difference between major and minor scales, note intervals, basic chords and inversions, chord progressions, and more. We'll look more in depth at workflow hacks designed to help you progress your ideas further. After initial ideas have been put down into a project, this segment will primarily deal with developing and enhancing sounds, working quickly in Live's Arrangement view, and adding automation. The objective of this course is to give the viewer a better fundamental understanding of basic mixing concepts and techniques. We will discuss gain-staging, grouping tracks, subtractive EQing, panning, effective ways to control dynamics such as compression, and insert effects versus send effects. This course is a deep dive into the new Wavetable synthesizer which is included with Ableton Live 10. You'll expand your sound design knowledge by learning how to use a wavetable synthesizer. This synth is capable of producing anything from atmospheric pad sounds to analog-style tones as well as many other evolving sounds. In this course, we deconstruct production techniques from the hit song, “King's Dead”, by Kendrick Lamar, Jay Rock, Future, and James Blake. We'll look at how to produce the oddly syncopated beat with distorted 808 kick drums, a reversed flute or synth sample, and the re-pitched vocal overdub that appears throughout the song. This course is about stereo imaging techniques - we'll learn by breaking down “Get It Right” by Diplo (feat. Mo). We'll cover a wide range of stereo imaging techniques that go from subtle to extreme. We'll cover the Haas effect, layering and panning, alogrithmic vs. convolution reverb, 3D movement, and more. Here, we'll take a look at how to deconstruct a song in Ableton Live and optimize it for live performance. We'll look at strategies for dividing your arrangements into groups and then bounce them out as stems. Then, we'll cover setting up a Live set using stems and how to use Ableton's scenes to help control the flow of the live performance and enable improvisation. This course is about how to take advantage of Effect Racks in Ableton Live, which allow you to quickly recall effect combinations and create your own signature sound and style by creating custom racks that are unique to you. Interesting combinations and routing mean that you're only limited by your creativity! One of the great things about Ableton is the "immediacy" of the interface. Changing the pitch of any audio clip, or adding harmonies and pitch glides is just a few clicks away at any time. There's no need to buy expensive plugins, tax your CPU load, export and import additional files, when you can accomplish the same things directly in Ableton Live. See how the song “Naked Truth” was crafted from the bare bones demo ideas, starting with some chords on guitar, to a full fledged production in Ableton Live. You'll pick up nuances and production techniques as Patrick walks you through the various parts of the instrumentation and arrangement, and you'll get a sense of how the layers come together to form a cohesive, punchy mix. This is the second course in a 3-part series. Explore the basics of music production by focusing on composition techniques, programming drums, quantization, and basic music theory such as writing melody, chord progressions, adding a lead part, arpeggiators and many other topics. Ableton Live is a useful application not only for multitrack recording and production, but also for live performance. In this course, learn about the crossfader, midi mapping, incorporating effects, send effects, envelopes, advanced midi mapping, finger drumming, live looping, saving templates, and much more. Develop a more efficient and productive workflow, while exploring some unique creative possibilities within Ableton Live. The concepts and techniques covered in this course will enable you to work in your projects and execute your creative ideas much quicker. These hard-to-find skills will give you an edge as producer. Learn how to customize your Ableton Live working environment and speed up your workflow by automating repetitive tasks. Make your version of Ableton Live feel more like home and also improve the speed at which you can switch between different work modes and project types. In this course, STINT will walk students through the process of writing and producing Gallant's single "Weight In Gold", from the Grammy nominated album Ology. Students will get an exclusive inside look at how the track was composed from the drums and rhythmic elements through the synths, guitars, vocals, and effects. The mixing hacks covered will help you apply processing and set levels more efficiently in your mixdowns, to create well-balanced, finalized music. We will also touch on some frequently overlooked techniques for file management. This overview course is designed to give a first look at the new features in Ableton 10, as well as some useful techniques to implement into your workflow. We'll cover new devices such as Wavetable, Drum Buss, Echo, Pedal, the new Max4Live drum synths, etc., as well as the updated Arrangement View and the ability to edit multiple MIDI clips at once. In this course we'll deconstruct the vocal parts from the song "All the Stars" by Kendrick Lamar and SZA, in order to show how to create professional-grade vocal chains. We'll take a look at a variety of techniques and effects including EQing, gates, de-essers, compression, vocoders, reverb, delay, width, and much more. This course focuses on how to create deep booming sub-bass kick drums similar to the TR-808 kick that is so popular in modern electronic music (especially styles like hip-hop and trap). Topics include creating kicks with Analog, Operator, shaping the kick, pitch automation, glide, creating macros, and saving kits. Study vocal chopping techniques using Ableton Live! We're going to look at quite a few of the excellent built-in tools for slicing and rearranging audio. You’ll not only learn how to chop vocals, but you’ll also learn to think about Ableton's toolset in a creative way, for any type of audio manipulation - practicing these techniques will give you plenty of ideas in the moment! This course is about how to use MIDI Effects to compose MIDI chords and melodies. By leveraging these effects (essentially MIDI processors), you can take simple incoming MIDI input and convert it into new musical ideas that are interesting and unique - you'll create ideas that you may normally otherwise not consider. If you're unfamiliar, Max (a.k.a. Max/MSP/Jitter) was named after composer and computer music pioneer Max Mathews. It is a visual programming language that, in short, enables third party developers to create custom instruments and plugins. There's a Max tool for nearly anything you wish to accomplish, so dive in and start pushing the limits of Ableton with Max! This is the third and final course in a 3-part series. Learn about EQing your tracks, working with effects, creative sampling techniques, export settings, and much more. After completing this course in the electronic music production series you’ll be able to combine all of these elements into making a song. Utilizing the sidechain input allows you to modulate audio by using the audio from another track - this allows you to control how the track pumps and breathes. It can however be applied in many other unique and creative ways. Each lesson will highlight a new device and show creative examples of how to take advantage of this feature. Preparing your live performance and getting your Ableton Live project stage-ready can be a daunting task. Musicians often struggle with how to best translate their tracks to a live performance, especially when it comes to dialing in the best setup with their software and hardware. Hack into Live's Session View to record, overdub, and live loop new parts without stopping the flow of the music. We will also look at hacks for more efficient writing of MIDI parts, such as utilizing MIDI effects, step recording in MIDI notes, and making the most of Drum Racks. This course is all about FM synthesis - Frequency modulation is a type of synthesis that is heard in many genres of music including house, pop, dubstep, EDM, electronic music, and more. Popular synthesizers include the Yamaha DX7 keyboard and the software synth Native Instruments FM8 - both of which have been used by notable artists. This course is designed to give any viewer who is new to Ableton Push a better understanding of its overall functionality, and the ability to compose drum beats, melodies, control effects, launch clips, and also MIDI map the USER mode to make Push function in any way they see fit. This course will give the viewer a better idea of how drum beats are constructed in some of the biggest songs in various electronic music genres. Learn how some of the top producers create their beats by deconstructing and analyzing the numerous components and arrangement of any great drum production. This course will break down how to transcribe and synthesize some famous sounds from classic dance tracks. The sounds and tools selected for this course are still commonly used in music production today! 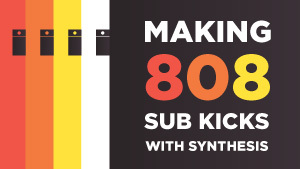 We'll deconstruct synth parts from hits by Daft Punk, New Order, Robin S., and Inner City. Use vocals to create interesting layers by slicing to MIDI, sampling, re-pitching, gating, and using vocoders. We'll also look at effects chains to enhance the resulting sounds. To provide context, we'll dissect a number of songs that exemplify these techniques from artists like DJ Snake, J. Dilla, Skrillex, Gryffin, Kasbo, and Giorgio Moroder. Producers like Skrillex, Mura Masa, and many others have raved about the capabilities of one of Ableton Live’s built-in instruments, Operator, and use it often in their music. Configured like an FM synthesizer with additive and subtractive synthesis capabilities, this versatile instrument can be used to create all kinds of sounds from keys, mallets, bass/leads, growls, and more. In this series, you'll get to see how a song gets developed from scratch in Ableton Live. Your instructor will start out using nothing but some of our Noiselab House Music Loops as a starting place. No matter what genre of music you create, lessons like these are great for you to see how various instruments and plugins can be used in creative ways to achieve the results in your mind. This course is about looping audio and/or MIDI on the fly. Ableton Live excels at looping, as the DAW was designed with live performance in mind. That being said, there are multiple ways to approach looping in Ableton. It's important to learn the various approaches if you want to take full advantage of the software. Best of all, these techniques can be applied to your production workflow, keeping you in the groove without hitting stop! or successful producers with impressive credentials. Mark Burnett is an Ableton Live Certified Trainer who has assumed many roles within the music industry, from producing sync work for some of the top media houses to supporting delivery of the best music expositions, conferences and festivals in the world. He has built a name as an enabler through his inspirational, supportive and often outlandish contributions to the music ecosystem as well as daily contributions to the Ableton community through his brainchild ‘The Live Lab’. Mike Park is a musical director and session drummer based in London. He works with artists to bring the energy and production quality of their recordings into the live environment. In 2016 he rebuilt Låpsley’s live show and toured as her drummer. He has additionally been working as MD for BETSY, Leo Stannard, Lao Ra, Sälen, IDER, Shannon Saunders, CASI, Kyla La Grange, Leo Kalyan, and Jazz Morley. As well as building bespoke live setups from scratch, he helps to develop existing live shows: improving overall sound and production value, streamlining technical elements, sourcing musicians, and developing artist performance and confidence. His MD work is characterized by the highest quality live sound, an original visual aesthetic, and seamless use of technology for consistent and reliable execution show after show.